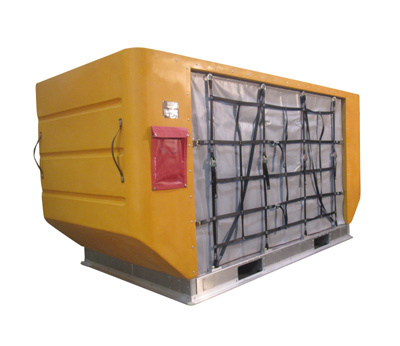 LD 8 Air Cargo ULD Containers are a commonly utilized component of the commercial airline, air freight and package handling industry. Air Cargo ULD Contaners allow for efficient transport and loading/unloading of luggage, packages and air freight from wide-body aircraft safely and efficiently. Being one of the most commonly used full-width ULD Containers, the LD 8 Air Cargo Container features volumes of 244 cubic feet (Standard/DQF), while the forkliftable DQN model has an internal volume capacity of 224.5 cubic feet. 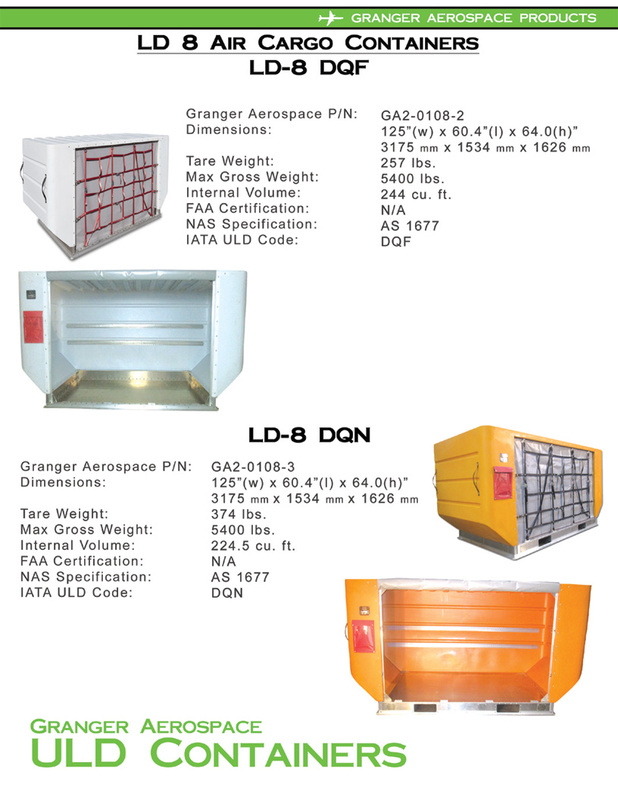 The LD 8 Air Cargo Containers are commonly used to load certified hold compartments on aircraft such as the B767-200, B767-300, B787's and various other wide-body aircraft. 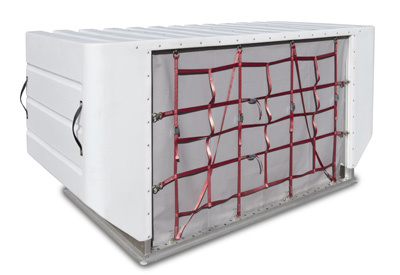 Granger's 20 year history of positive results of polyethylene air cargo containers led to the development of the proprietary LD 2, LD 3 and LD 8 Air Cargo ULD Containers. This history of positive results allows Granger to develop a hybrid container that features an industry leading aluminum base, with reduced fasteners which allow for faster and easier airworthiness inspections. The increase in operations efficiencies can make major positive impact to corporate bottom lines.